I first came to Dale in 1980, as a recently qualified biology teacher accompanying pupils on their A-Level field trips to Dale Fort Field Centre. I immediately fell in love with the area, and have since visited Pembrokeshire many times, both in my former job as a teacher and on family holidays. One of the attractions of the Dale peninsula is the fact that it is a peninsula. You can walk around the 6 miles or so of the coastal path in a few hours, or over the course of a day at a more leisurely pace. And it’s a circular walk, so at the end you aren’t stuck for a lift back! 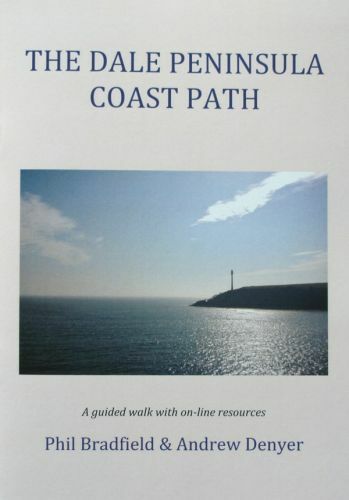 This book guides you around the most interesting features of the Dale Peninsula. More information, and online resources including an audio guide, can be found at the Walking-Guides.co.uk website.